Long eyelashes complement the eyes. Fuller and longer lashes are always attractive. Fake eye lashes fail to look as good as naturally long lashes do. Look after your eyelashes as much as you look after your hair. Women love to be appreciated for their looks and nothing to them feels more amazing than being appreciated for their naturally beautiful looks. To have beautiful eyes and lashes is always on top of everyone's favourite list. And, what can be better for a woman than having naturally long eyelashes? Yes, nothing can beat that, but not everyone has such long eyelashes naturally. Women do a lot of things from using eye liners to lash combs to curlers, just to make their eyelashes appear longer and fuller. But, it still can't be as good as naturally long eyelashes. So, the million dollar question is 'Can you make your eyelashes grow longer naturally'? And the answer is a big YES! 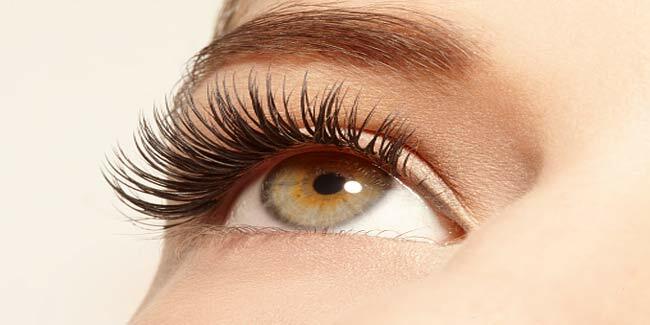 Here is what all you can do to get more beautiful and fuller lashes. Castor oil has been effectively used for promoting hair growth and you can use it to grow your eyelashes and brows too. It offers amazing antibacterial properties to keep your lashes healthy and promote natural growth. Get some natural castor oil from your local store, wash your eyes with clean fresh water and make sure there is no makeup left on the eyes. Now gently apply castor oil from root to tip of the eyelashes with the help of a cotton swab. Leave it on for an hour and wash it off gently with clean water. Mix a teaspoonful of coconut oil and few drops of lavender together and apply the mixture on your eyelashes with the help of a cotton swab. Always apply the oils at the roots and move towards the lash tips. Wash it off after 30 minutes. Apply it once every day for 3 to 4 months for best results. Promote blood circulation to your eyelids by gently massaging them in circular motion with the help of your index fingers. It will not only promote circulation, but also help your eyes stay and look healthy by relieving stress and tiredness. Once you notice that your eyelashes are starting to grow naturally, you can make suitable changes to your makeup kit.